I read this article few days ago and I thought it was one of the most useful inspirational pieces someone who’s striving to be a success in life can take as motivation. Writing in an industry magazine column, the world’s richest woman, Australian mining tycoon Gina Rinehart, urged those envious of the wealthy to do something about it, and stop whining. Rinehart is the matriarch of her family iron ore prospecting fortune of US$30.1 billion, which also makes her Australia’s wealthiest person. “There is no monopoly on becoming a millionaire,” she wrote. Other people (they’re probably myopic) have slammed her supposedly controversial remarks, but I think her words made absolute sense. And the fact that she has multiplied her family fortune to where it is now only enhances the value of her advice. Priceless. I truly believe that if someone has perfectly functional limbs and mental intelligence, then they should work hard for what they want, instead of begrudging the government or the society or the environment or the people around them for not serving everything on a platter to them. Agree? 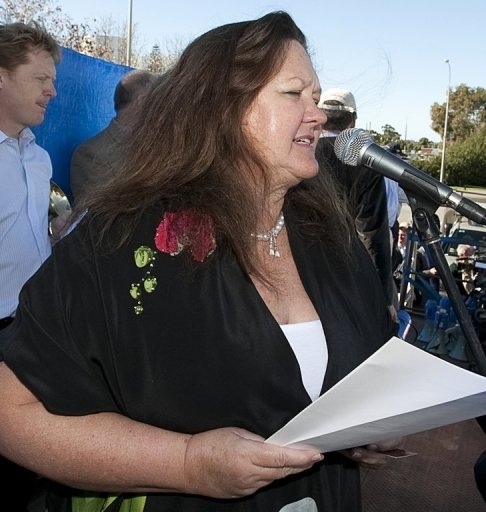 Those, who have been protesting that Rinehart should share her wealth with the poor, should just shut up. How would you like it if you were told to donate half your salary to poor strangers you don’t know every month? Don’t argue that you have less money than her. It’s a matter of perspective. Giive Rinehart the benefit… She probably does her fair share of charity work and just hasn’t publicise every single activity, unlike other publicity seeking organisations that have to advertise every dollar they donate. Remember, there’s no monopoly in earning your first million dollars. Rinehart, you’ve got a supporter in me! P/S: If your kids insist on taking you to court over the trust fund and you’re thinking of disowning them, I’m available for adoption. Ahem.